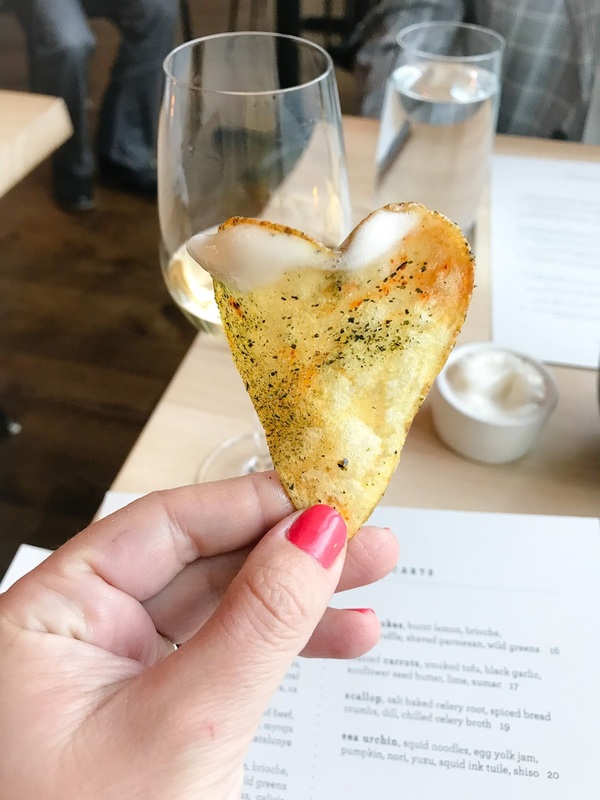 A heart shaped chip & bubbly to kick off our romantic dinner. One of my New Year’s resolutions was to open more of “the good bottles.” Like a lot of people, I often tend to be too precious with many of my bottles–I store them away like little jewels. However, unlike jewels wine does not keep forever; and how sad it is when you open a bottle to find it has missed its prime. Open That Bottle Night (#OTBN) provides a perfect reason to seize the day and follow through with this resolution. Wall Street Journal Writers Dorothy Gaiter and John Brecher came up with the idea to inspire people to crack open a bottle that been languishing in the cellar for far too long (see more info here). 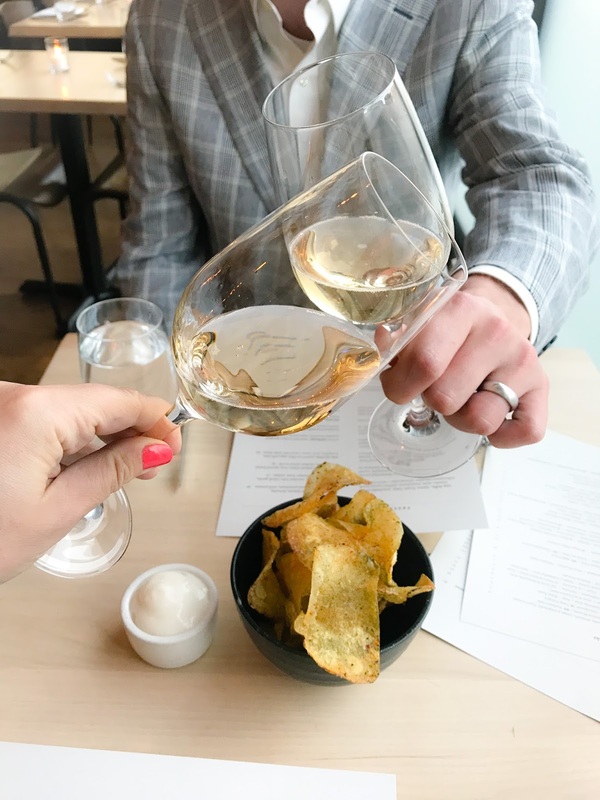 The Wine Pairing Weekend crew, lead by David at Cooking Chat, celebrated by opening bottles on February 24th, and is sharing their finds this weekend (scroll down to see more). As happy as I would have been an excuse to open a bottle anyways, I actually had even greater reason to celebrate a week earlier when Greg and I celebrated our 10th wedding anniversary! This was definitely a reason to break out the good stuff if ever there was one, so I thought I'd combine the two events. We decided to open not just one, but two Splurge wines–a Pommard and a vintage Champagne. There were also a few other delicious sips along the way. Us now, right before our dinner. Us on our honeymoon in Cartagena–10 years ago!!! To celebrate this evening we made early reservations at Commonwealth in the SF Mission. They really made it a special night! They brought us a lovely glass of Domaine Gérard Villet Vin Mousseux de Qualité Extra Brut to start the evening on a celebratory note. (I could not find this wine on the producer’s site, but did find it in this WSJ article for further description.) 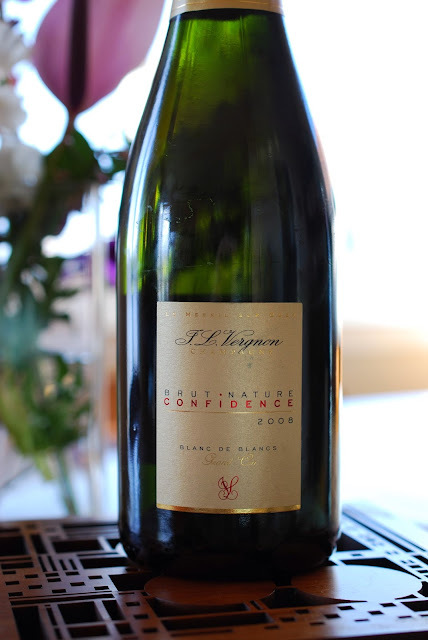 I have recently been enjoying some beautiful bubblies from the Jura–I highly encourage you explore these wines when looking for alternatives to Champagne. Greg and I also ordered a glass each of Káli Kövek Rezeda Welschriesling 2015 out of Hungary (here is the 2016 info) and Tatomer Meeresboden Gruner Veltliner Santa Barbara County 2016. 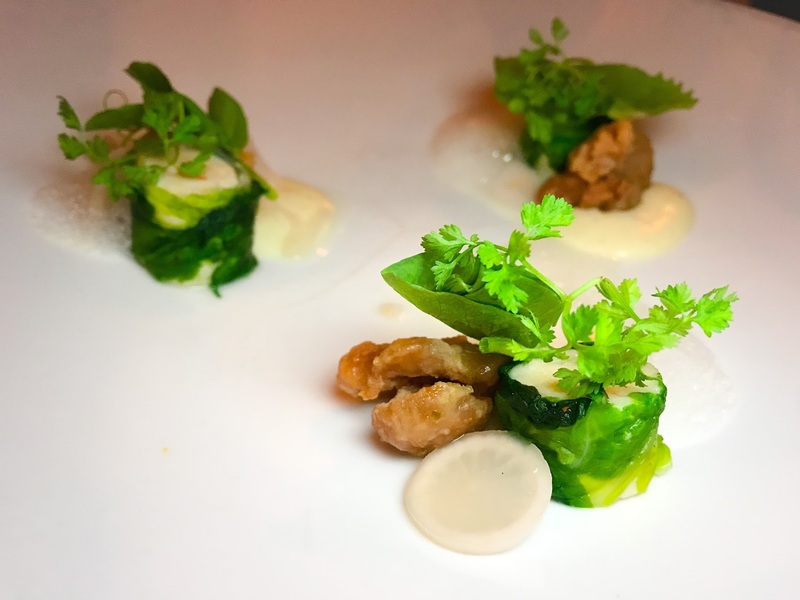 Each paired well with the earlier dishes in our dinner–the Welschriesling was light but had a lovely roundness and pretty aromatics, while the Gruner had hints of sea minerals that gave it clean finish. 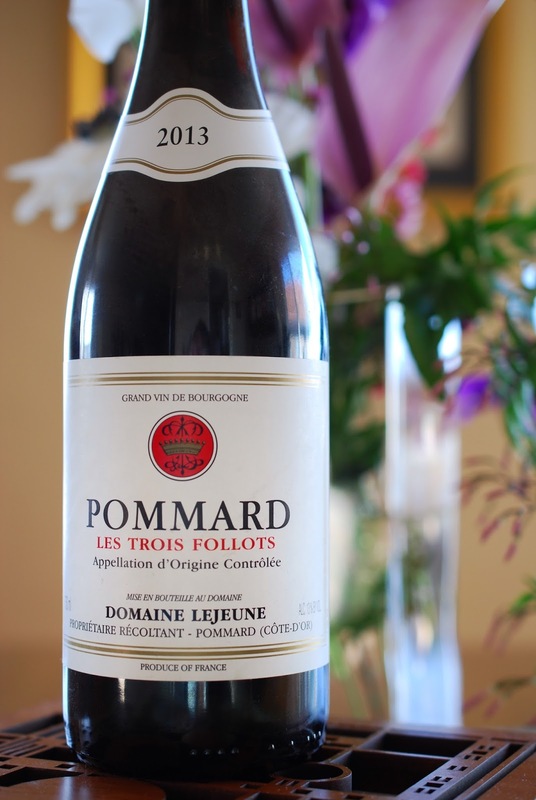 We also brought a bottle of Domaine Lejeune Pommard Les Trois Follots 2013 to accompany the later courses in our dinner. We often like to bring a special bottle with us to go with a special dinner out. Of course there is usually a corkage fee and it’s always good to check on this in advance. (I believe the corkage fee at Commonwealth is $20, but it’s not 100% clear in my memory.) While we’d perused the menu online, we weren’t set on what we’d be ordering and a red Burgundy is always good choice for these moments, as they tend to pair well with a wide variety of foods. We sadly don’t have as many of them as we’d like in our “cellar,” so opening one up seemed particularly celebratory. This was a sleek version with plenty of fresh acidity and fine tannins. It had notes of lightly spiced cherries and berries. It had a savory finish inflected with herbs, flowers, black tea, cedar, and a hint of earthy mushroom. It was light but with a firm core. This wine was still quite young and even with decanting it remained a little tight. We probably opened it slightly early, however, 2013 was a bit of a difficult vintage, so that closed off quality could have been the vintage showing itself. In any case, the assumption is that this vintage won’t age all that well and it is definitely better to open something a little too early than too late. Moreover, even if it was a touch young it paired beautifully with many of the dishes we had that evening, just as we’d hoped! Shrimp mousse, sweetbreads cooked in beeswax, popcorn purée, yuzu kosho milk, pea tendrils. 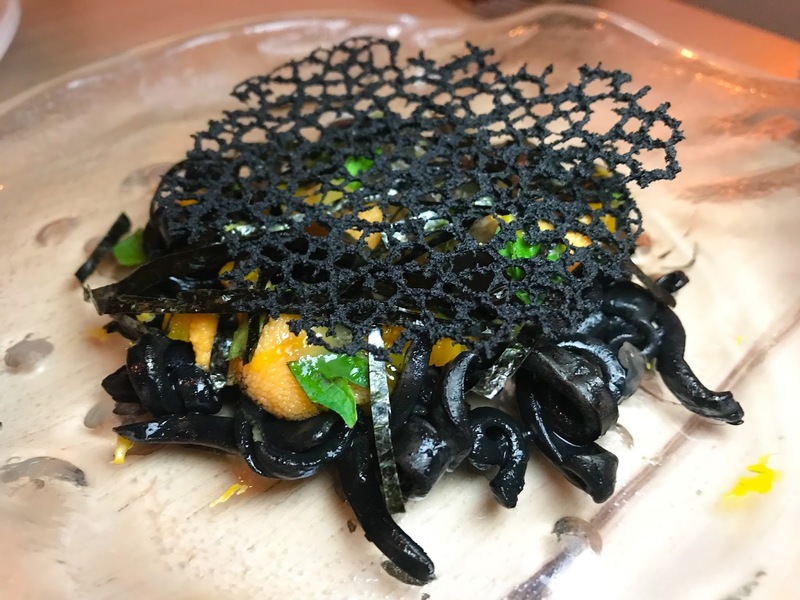 This was the drop the mic dish in our book. 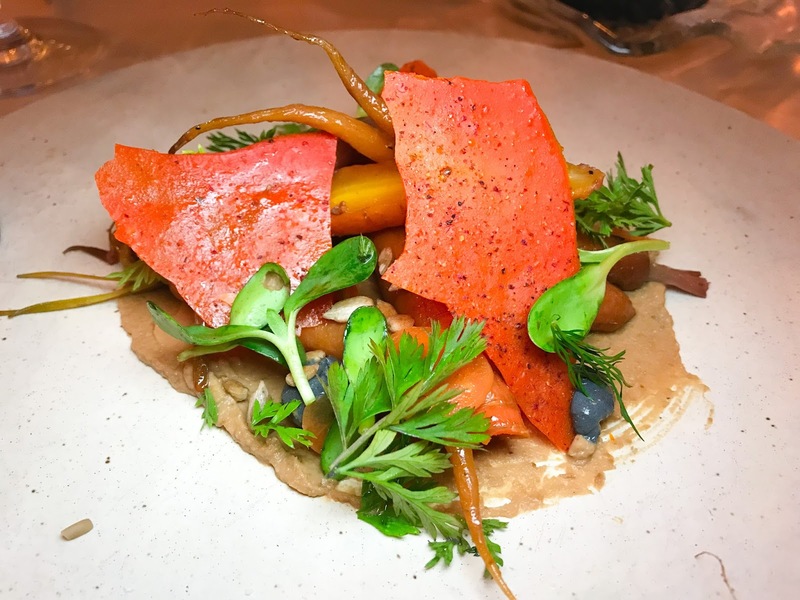 Roasted carrots, smoked tofu, black garlic, sunflower seed butter, lime, dill, sumac. Sea urchin, squid noodles, egg yolk jam, squash, squid ink tuile, nori, yuzu, shiso. How gorgeous is that?! 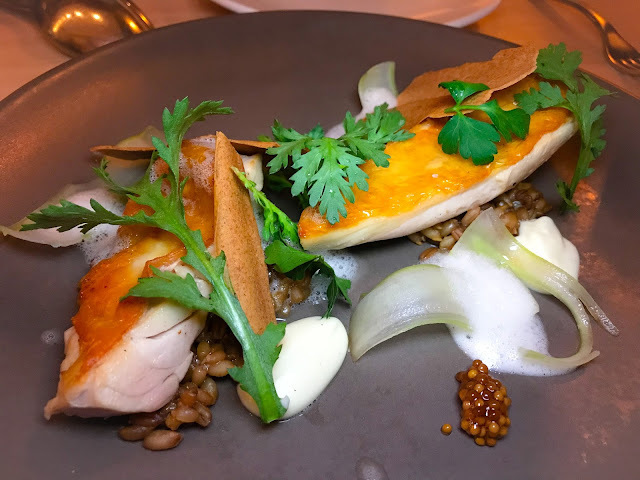 Young hen, parsnip, vanilla, sprouted rye porridge, celery, parsley, truffle emulsion. So complex and deliciously composed. 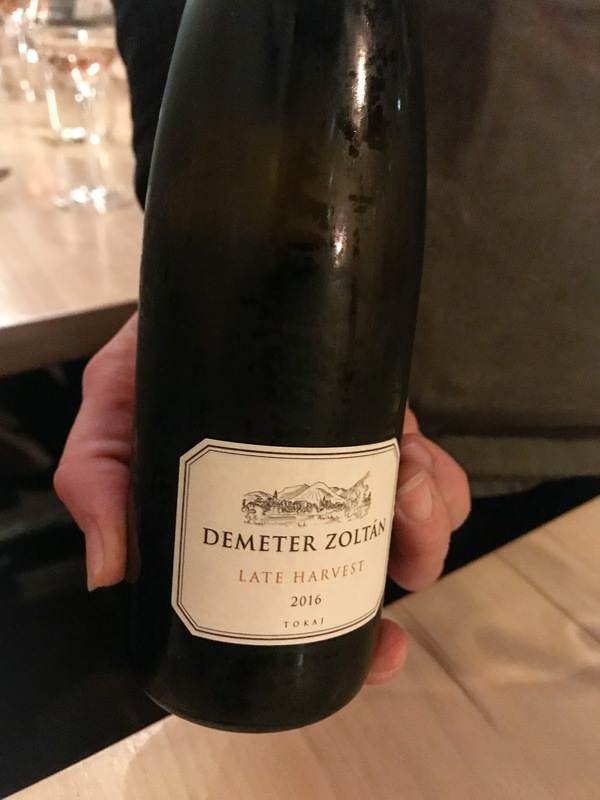 To finish things off we had a glass of Demeter Zoltán Late Harvest Tokaji 2016. I love Tokaji–it’s among my favorite dessert wines–and it was a perfect end to the feast! Thanks so much to the staff at Commonwealth for making it such a lovely meal. Since our dinner was quite early, we continued our celebration into the evening. And let’s be honest, such a big milestone definitely deserves Champagne! I happened to have stored away a bottle of J.L. Vergnon Brut Nature Blanc de Blancs Champagne Confidence 2008–our wedding year! J.L. Vergnon is based in Le Mesnil-sur-Oger in the sub-region of the Côte des Blancs, which is famous for its particularly chalky soils. The chalk helps to retain acidity in the grapes, producing wines of renowned elegance. This estate has been in the family for five generations, and Jean-Louis Vergnon inherited it from his mother in 1950. He first sold fruit to local cooperatives, then began making his own Champagne in1985. His son and grandson, Didier and Clement, now head the estate. Jean-Louis saw the quality of his fruit when he began bottling his own wine, and began pushing harvest dates pack in order to get as ripe and balanced grapes as he could–aiming for 11 degrees of natural potential alcohol or more. This in turn has allowed them to completely eliminate chaptalization and block malolactic fermentation while still making balanced wines. In 2002, they brought on Christophe Constant as winemaker, and under his tenure the house really began to gain recognition. Enologist Julian Goût recently took over as winemaker this past November. While young, Julian has already had stints working working with Anselme Selosse and at Taittinger, among others. The house farms sustainably, avoiding pesticides. Most of the wines are vinified in stainless steel and they keep to a generally light dosage throughout their range. Their wines are aged for a minimum of 36 months on the lees, but most are aged for much longer before release. I found this wine to be a particularly savory Champagne, like bread baked with herbs and topped with salted butter. There were also notes of preserved lemons and lemon curd, almonds, with a sharp minerality at the core that leads me think that this wine definitely could age for much longer. We enjoyed this Baller Wine cuddled up watching a movie later that night. However, I’m sure it would be delicious with any number of dishes, particularly chicken or seafood and an herbed butter sauce would match the notes flawlessly. It was a wonderful 10th anniversary and we’ve been continuing the celebration since with more yet to come! Stay tuned. I’m also happy to say that we had occasion to open more delicious bottles on OTBN weekend with friends–some ours, some theirs. You can see my Instagram post of that night on Nibbling Gypsy here. Don't have a blog post about #OTBN to share? No problem! Join the conversation about #OTBN and special wine and food pairings by joining our live Twitter chat. Tune into the #winePW hashtag on Saturday, March 10, 11 am ET / 8 am PT to join the conversation. You can also check out past and future #winePW topics on the Wine Pairing Weekend page. Get ready for the April #winePW which will be on Exploring the Wines of Navarra Spain, hosted by Gwendolyn at Wine Predator. For background on #OTBN, visit our Open That Bottle Night Invite post. For background on #OTBN, visit our Open That Bottle Night Invite post. Thanks so much, Lynn! I believe we had that urchin dish with the two white wines mentioned early on, and they both also went really well. Looks like an amazing night Nicole. Looks like I need to get busy planning our 10th anniversary dinner! Happy Anniversary, it sounds like a delicious celebration. Happy Anniversary! I would say you celebrated in style! Any favorite pairings? Thanks Jane! The Pommard went generally well with many of the dishes we had, but I do recall it going particularly well with that Hen dish. 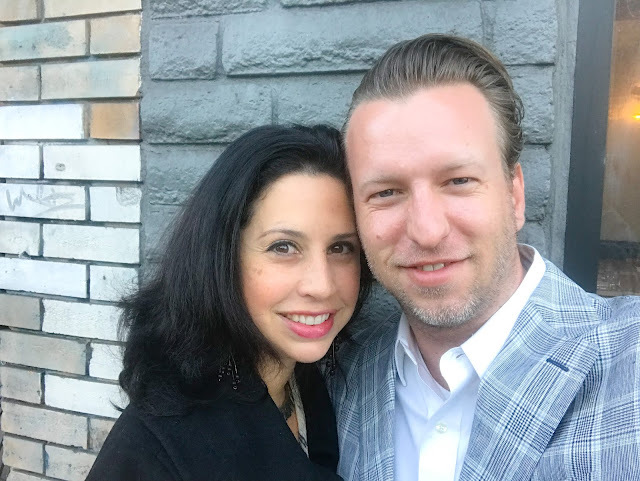 Congrats on your anniversary! Good idea to bring along a special bottle of wine to the restaurant for the occasion.